The range includes adaptors for radios that don’t have built in Bluetooth™. There are 3 different levels of Bluetooth™ headsets, including 1) Standard Bluetooth AD2P Headset compatible with PTT for use with mobile phone or Bluetooth compatible radio, 2) As 1 but with an additional feature to allow users to hear ambient sounds whilst protecting against harmful noise, 3) Bluetooth enabled headset compatible with PTT for use with mobile phone or Bluetooth compatible radio. With an additional features to allow users to hear ambient sounds, whilst protecting against harmful noise and built-in AM / FM Radio. Choose any combination of Flex headset and Flex lead to suit your radio manufacturer requirements. There is a boom noise cancelling microphone and Press To Talk butotn on the shell. Contact us to see if a compatible lead is available for your existing radio type. The headset has a dynamic differential microphone with excellent ambient noise compensation and a built-in microphone amplifier. The frequency range of the earphones gives good sound reproduction. The WS Ground Mechanic solutions carry a new Bluetooth chip that provides the headsets and adapters with several improved features, such as faster PTT response, digital noise reduction, advanced VOX and coverage over a longer distance. A new feature is the built in “ghost voice” ; not only does it assist you in navigating the menu, it also notifies the pilot whenever the ground crew connect the WS adapter to the aircraft, as well as notifying you if you get out of range. Also, the volume to the cockpit can now be adjusted via the headset itself. Available in overhead, neckband, foldable, and helmet attachment options, and with a number of connections including 1/4" stereo connector, 3.5mm mono connector and 6.3mm mono connector. The Lite Com range offer high performance hearing protection with a built in radio for hands free communication over short distances. An external socket allows you to connect a phone or radio. The Basic model offers simple operation with only three buttons and voice announcements for operation selections so that you do not have to remove the headset to check the settings. The Lite Com III has a built in active volume function that allows you to hear ambient noise such as machinery, conversation and alarms. Weak sounds are amplified so that you can hear them better than if you weren't wearing protection. Sudden impulse noises that exceed harmfull levels are immediately attenuated and a large LCD displays the current settings. Sharing the same features as Lite-Com III. In addition to the Tactical feature, WS Lite-Com includes Bluetooth™ Connectivity, allowing users to connect to a mobile phone or Bluetooth™ compatible radio. Communicating between two tree surgeons can be difficult, sometimes impossible, especially when chain saws, chippers and heavy machinery are working flat out. Noise and poor communications can compromise safety and greatly reduce productivity. With Arborcom A-Kabel you will greatly increase the operators safety and productivity through improved, reliable communications leading to reduced downtime. No buttons to push and hold in when talking, simply turn the headsets on and carry on working. The FULL-DUPLEX feature allows both operators to talk to each other at the same time, just like talking on the phone. This greatly increases safety. The noise cancelling microphone filters out the background noise of the saws and other noisy machinery, allowing speech to be heard clearly and concisely. The excellent passive attenuation ensures your hearing is protected at all times. Electronic level dependent noise cancelling headsets that are designed to increase safety in the workplace and connect directly to numerous hand portable two-way radios. This ‘Active’ electronic level dependent hearing protector headset allows two-way communications and reproduces ambient sound, whilst automatically filtering harmful noise, removing the isolation normally associated with passive headsets. Headsets are CE/EMC approved to relevant European safety standards. Noise cancelling ear defender headsets for connecting directly to most hand portable two-way radios. MSA Sordin Headsets enhance the radios communication giving safer and more efficient two-way communications even when in noisy environments. Available in a broad range of different configurations. 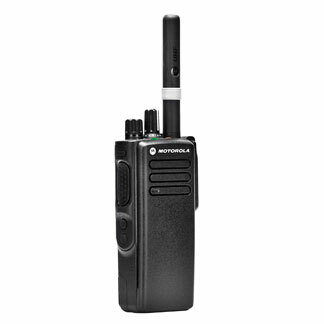 Available for numerous different two-way radios Motorola,ICOM, Kenwood, and more! Fitted with heavy duty straight or coiled leads for good durability.